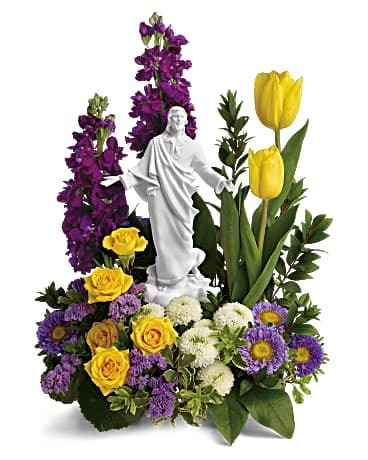 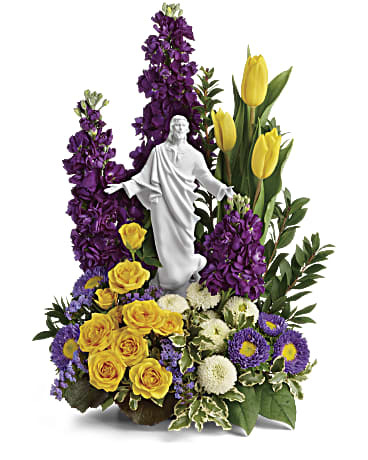 Bring a radiant reverence to any spring occasion with this yellow and purple bouquet of roses, tulips and asters surrounding a peaceful porcelain keepsake statue. 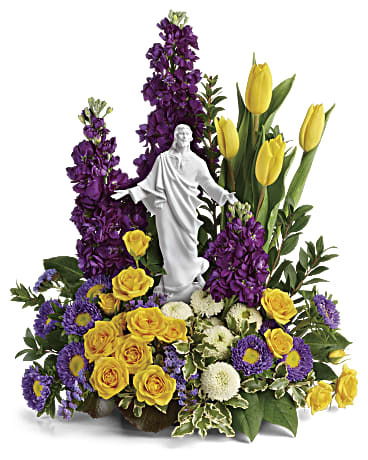 Due to seasonality of this product, there is an increase for cost of goods on specific delivery dates. 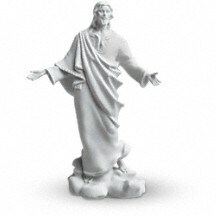 This magnificent porcelain sculpture of Jesus is by famed sculptor Stuart Mark Feldman. A distinguished offering from Teleflora's renowned "Flowers in a Gift" collection, it will be treasured forever.